Gitau leads on FSD Kenya’s support to Kenya’s financial sector strategies, specifically on pro-inclusion policy and regulatory work, including working across Kenya’s financial sector regulators and other partners. 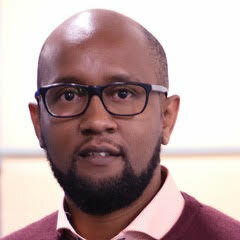 Prior to joining FSD, Gitau worked at the UK Department for International Development (DFID) as a Private Sector Development advisor, covering financial sector, trade and regional integration and investment climate. Gitau has also worked with the European Commission, and a number of leading think tanks in Kenya. At the time, he also served as contributor for the Business Daily, writing on business and policy issues. Gitau has a BA in Economics, a Master Banking and Finance, and Theological Studies. He is currently on study leave from FSD as a Chevening Scholar pursuing an LLM in Law and Economics at the Queen Mary, University of London.